Born into an affluent family, Bonnie, Tor and Ula have been left to the feckless embrace of the cook and their nanny. Their father is dead. Their glamorous mother is away entertaining the troops. When their infant brother falls ill and dies, the household disintegrates. 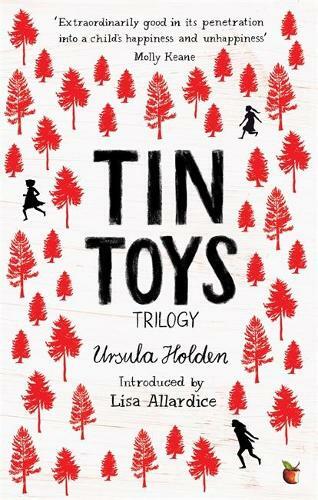 In Tin Toys, Ula escapes with Cook, barely out of girlhood herself, and lands at the mansion of an enigmatic matriarch. In Unicorn Sisters, the three sisters are sent to a shabby English boarding school where the pupils are pitted against an anarchic gang of East End evacuees. A Bubble Garden finds the girls in Ireland, where they scrape a life in a crumbling, once-grand farmhouse, while their mother and her new husband are mired in their private traumas. A uniquely compelling and powerful coming-of-age classic.